Heat oven to 350F degrees. Spray 11×7 or 12×8-inch (2 quart) glass baking dish with cooking spray. In large bowl, beat eggs and milk with wire whisk until smooth. Separate dough into 8 biscuits; cut each into quarters. Gently stir biscuit pieces (with wooden spoon) into egg mixture to coat evenly. Fold in bacon, cheese and onions. Spoon mixture into sprayed dish; arrange biscuit pieces in single layer. Bake at 350F for 23 to 28 minutes or until biscuits are golden brown. Cut into squares. 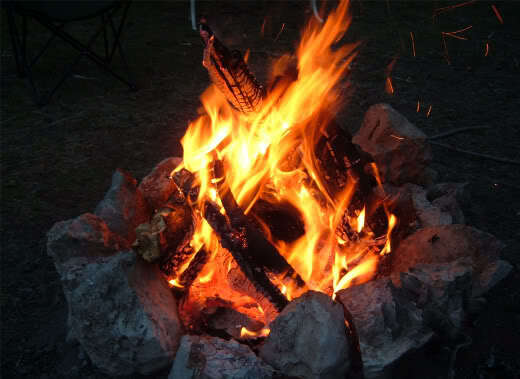 One thing that my family and I love to do on weekends is sit around a campfire with good music and good food. Hobo dinners is one of the best campfire foods that my husband cooks and yes, my husband cooks 🙂 I do my best cooking in the kitchen and Brian is the griller in the family. We use ground beef and any vegetable our tummies desire. The ground beef is made into patties. As for the vegetables, we use strips of green bell peppers, sweet onions, and potatoes. Sometimes we may add squash and/or carrots. 1 cup of cut-up fresh vegetables: sliced onions, carrot sticks, sliced bell pepper, cubed or sliced potatoes, salt and pepper, and a dash of Worchestershire sauce is optional. One-fourth (¼) pound hamburger, shaped into a patty. Using a large square piece of aluminum foil, place patty in the center of aluminum foil. Salt and pepper patty generously or with your favorite seasoning. Add more salt and pepper. Add a few dashes of Worcestershire sauce (more if you like it a lot!). Fold the foil up tightly around the entire meal. Be sure all the edges are folded down and smoothed together, sort of like a pocket. You don’t want any steam to escape. We use a permanent marker to put everyone’s initials on top, so we know whose is whose. Cook on the grill or on an open fire for 25-30 minutes.You may also cook in a 350 degree oven for 25-30 minutes. Be careful opening these–escaping steam can burn you! Our family on July 4th, 2014. I will admit that I haven’t been much of a bread maker in the past but I have never given up on the idea that maybe I just haven’t found the right recipe. I have a friend who has passed along her recipe to me and drum roll please…….Potato Rolls! My husband and I tried it today for the first time and fell in love with them. I was worried that the rolls would taste more like biscuits and I was very wrong. They are also very good for freezing so you can get out what you need for dinner. This is a must-try bread roll. Dissolve yeast in lukewarm milk and water. Add melted butter and potato flakes. Add sugar, salt and beaten eggs; stir in enough flour to make dough soft. Continue stirring in flour until dough is fairly stiff. Turn onto lightly floured surface; knead until the dough feels like elastic and is smooth. Place in a lightly greased bowl, turning to grease dough. I used Extra Virgin Olive Oil. Place in a warm area and let rise until it’s doubled in size. I cut the dough in half and rolled out long rolls of dough on a lightly floured surface and sliced off my rolls. You can use a pizza cutter to slice the rolls. Bake rolls at 350 F for 10 to 15 minutes. If you want to make a bread loaf, then bake at 375 F for 35 to 40 minutes. Here is the end result………And definitely a family favorite. This past Thanksgiving, I was wanting to make an appetizer and make something different. I searched the internet and found this recipe which turned out to be pretty yummy. It was so good that our family asked for it again at Christmas, and New Years Eve, and New Years Day…..
Preheat oven to 350 degrees F (175 degrees C). Spray a miniature muffin pan with cooking spray. Insert wonton wrappers into the muffin pan so as to form small cups. Bake 5 minutes in the preheated oven. Allow the baked wrappers to cool. Remove from the pan. In a medium bowl, mix the sausage, Monterey Jack, Cheddar, black olives and Ranch-style dressing. 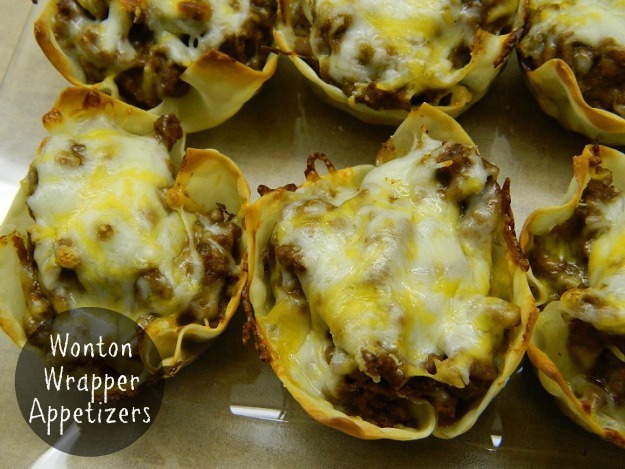 Fill the baked wonton wrapper cups with the mixture. Bake the filled wonton wrappers 10 to 15 minutes, until the sausage mixture is bubbly and slightly brown. Watch closely so the wonton wrappers do not burn. Note: I didn’t add black olives to my recipe and instead of using Ranch-style salad dressing, I used Ranch Dip. I’m planning on substituting the sausage with ground beef and instead of using Ranch Dip, using chipotle sauce. I love experimenting with recipes and my husband and our son make the best guinea pigs. I experimented with this recipe once my Mother-In-Law told me about how good deep fried mashed potatoes are and she was right on it. We don’t eat a lot of fried food (or we try not to) but these were good with grilled chicken and corn on the cob. These would also make a good game night snack at home. Take a tablespoon of mashed potatoes and roll it into a ball. Dip and roll in egg wash.
Then dip and roll in Panko and back in egg wash once more. Place on baking sheet and repeat until all the mashed potatoes are used. Refrigerate the prepared potatoes for a minimum of 30 minutes. Once potatoes have chilled in the refrigerator, prepare your oil approximately 1/2 deep in a large pan or deep fryer. Preheat the oil to 350 degrees. Place chilled potatoes in hot oil and cook until deep golden brown. Remove and drain on wire rack. Sprinkle with a little salt.